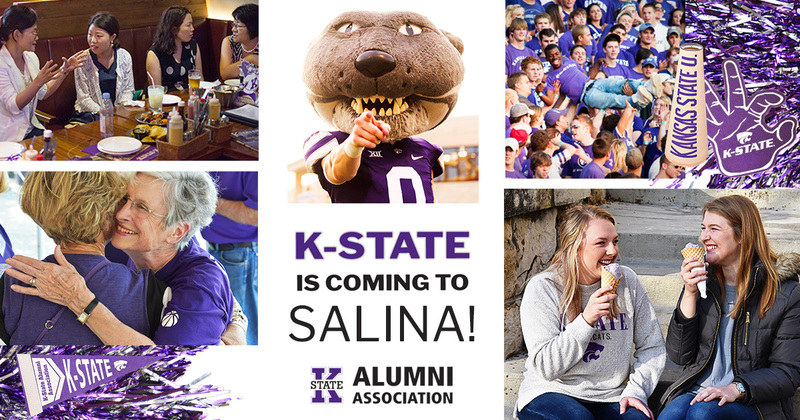 All K-State alumni and friends are invited to the Catbacker Tour picnic in Salina, Kansas! There is no charge to attend or reservations required for this event. Bring your own lawn chairs and dinner or purchase food from various food trucks that will be present throughout the event. Enjoy games, inflatables and more! All kids in attendance will receive a clear drawstring bag full of goodies. Unique athletic commemorative items, K-State merchandise and ticket packages will be available to bid on via live and silent auctions only at this event. In case of inclement weather check www.salinacatbackers.com or www.facebook.com/salinacatbackers/ for indoor locations of the event.